Turn right onto Tucker Avenue. Turn left onto Yale Blvd. The Children's Psychiatric Center is on the left. Parking is located in the parking lot by the main entrance to the building. Turn left onto Yale Avenue. Turn left onto Tucker Avenue. Continue on the frontage road to Tucker Avenue. 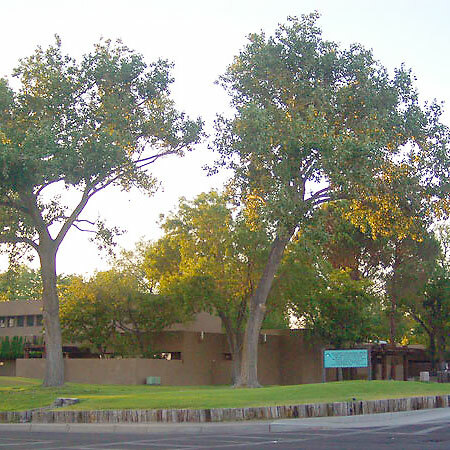 Help improve your child's mood, daily functioning and relationships by seeking care from pediatric behavioral health specialists at UNM Health System – home to UNM Children's Psychiatric Center, the only facility of its kind in New Mexico. Partner with us to develop a care plan that reflects your family's needs, culture and socioeconomic concerns. You and your child will get tools and support to achieve your goals for fulfilling, productive lives. Multisystemic therapy – Addresses the homes, families, friends, schools and neighborhoods of young offenders. Community family team – Brings together a family, along with teachers, coaches, mentors and other professionals, to solve problems and support at-risk youths. Inpatient care – Stabilizes and protects youths experiencing a behavioral health crisis. Stay calm and aware in difficult situations. Reduce emotional pain and stress. Make healthy life choices and accept responsibility for actions. Set and achieve goals at home and school. Make healthy choices with confidence.